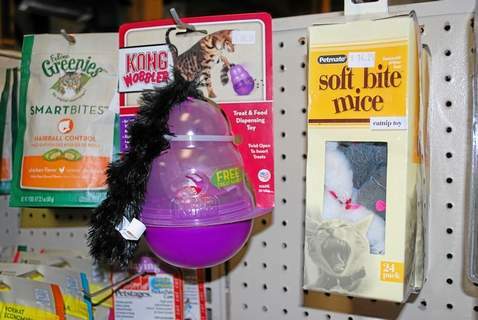 Pet owners who want to give their animals gifts during the holidays have a wide variety of safe options at area stores. When it comes to safe toys for dogs and cats, Kong brand is a popular option. Veterinarian Jan Pol, who practices near Weidman and stars in the Nat Geo Wild network’s “The Incredible Dr. Pol,” urges pet owners to only get toys that can’t harm and recommends Kong rubber toys. Available at area pet shops including Redbird, PetSmart and Soldans, along with some other retailers, many Kong toys are interactive, and none contain parts that can break away and pose a choking hazard. Mystie Beckwith, who owns Redbird in Mt. Pleasant with husband Steve Beckwith, said she steers customers away from too much rawhide because it is not easily digestible. Instead, Beckwith recommends interactive toys, including Rubber Kong toys that have a space inside for treats or kibble. 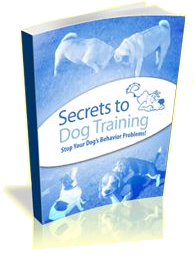 Those toys encourage pets to learn by finding out how to get to the treat. Kong carries smaller versions of the rubber treat-holding toy for puppies and cats, as well as plush toys. While many cats and dogs like squeeze or squeeze toys, those that have separate parts should only be used under supervision, Pol said. Pol also does not like to see people get rawhide toys with knots on the ends, because dogs can swallow the ends whole and end up with digestive issues that could require surgery. While Pol said rawhide without knots is acceptable, pet owners should get only that which is made in the United States, because imported rawhide might be treated with harmful chemicals. Instead, rawhide should be size-appropriate and in roll form, he said. Pol also said he does not recommend sow’s ears or cow’s ears because they are treated to prevent spoiling. Most toys should also be used under human supervision, Pol said. Beckwith said toys, particularly for dogs, should be interactive. PetSmart does not carry pet toys that are dangerous, manager Grace Dingo said. PetSmart carries Kong and other brands that are safe and has a huge variety, Dingo said. Toni Faulman of Soldans agreed that Kong toys are popular among pet owners and plush toys are also big. Faulman also said Nylabone makes chew toys for dogs that are a safe alternative to rawhide, with some that are edible and others for chewing. 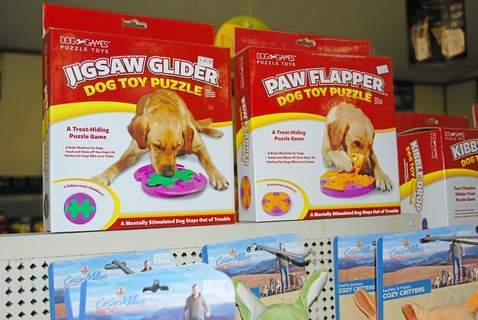 Greenies dental toys for dogs are also a safe bet, and help improve the animals’ breath, Faulman said. Another of Beckwith’s favorite toys for dogs are puzzle toys, in which the dog has to figure out how to get the treat out, and plush puzzles that have smaller toys inside a larger toy. Cat toys should not contain strings, with the exception of wand toys that are used interactively with people, Pol said. Cat toys that roll are good, and cats love rings from the tops of milk jugs as well, Pol said. Cats and dogs should never be exposed to tinsel, packaging material or string, Pol said. 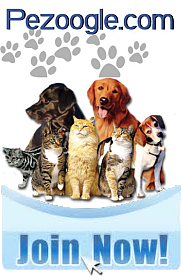 If they are, owners should not hesitate to get veterinary help, he said. Is Anesthesia Safe for Your Pet?